You have decided to work at reducing waste in your tourism/event organization? Welcome on board! ow that you have realised the first 5 steps, and have clear priorities set, we recommand that you focus on the implementation in a collaborative manner. For small organisations, this step might not be necessary and already covered by Step 5.. Build a collaborative action plan is particularly useful when you have numerous individuals involved or impacted by waste management. A creativity workshop will help you make more detailed action plan. How to organise a collaborative workshop? First things first, it is a common mistake to rush to solutions before even knowing what the context or the problem is, which result in failure in implementation, low impact or low efficiency. Example: In Makesense’s coworking space we started to put segregation bins for paper everywhere. But the printing average was low. ➔ Specific: it relates to a waste stream. ➔ Measurable: where do we start from and what we want to achieve. ➔ Ambitious: will bring real opportunities and impact. ➔ Realistic: it can be achieved. ➔ Time-framed: in 4 weeks? 3 months? 2 years? Rely on the conditions, pros and cons of our solution tabs. Check what has already been tried both internally or in similar structures. Imagine a specific objective you would like to reach. What are the resources you can rely on and the constraints you have to deal with? It will help you display details about the challenge(s) and design one or several solutions template that will help participant focus on an understandable, useful and concrete action plan. 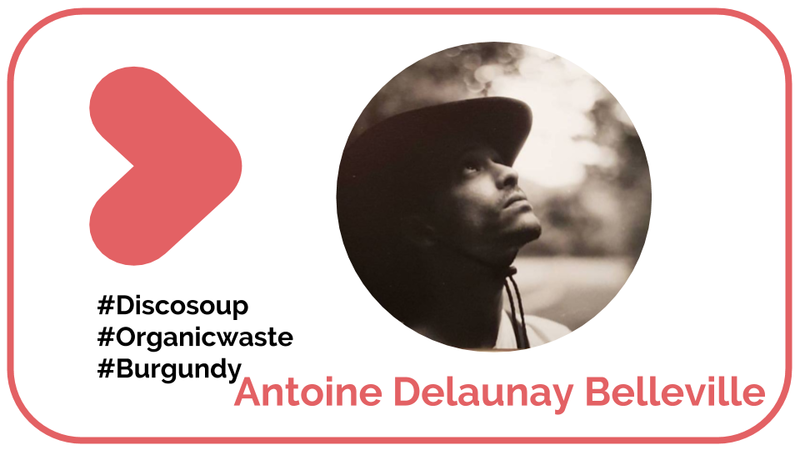 Exemple : How can I implement organic waste segregation and composting? It is recommended that you get help from someone else that will explain the rules & agenda, and help you facilitate the workshop. Make sure you settle the right atmosphere during the workshop (creative, constructive…à by setting a few rules. Example for a creative athmosphere: ideas must fit in a few words, people should rebound on each other’s ideas but not commenting or judging them, they should write and tell outloud their ideas one at a time. It might be useful to unleash the creativity of your participant during a first round so that they can bring you fresh inspiration from other references and points of view. It must be quick hectic and prolific.Find questions that will help you find original ideas that will later on be consolidated into the template you provided. At that point you will have to split the participants in smaller groups so that they can fill the templates you have created during the framing phase. You can prepare as many template as there are groups and thus tackle several challenges regarding different waste streams. Show up early to be calm and relaxed when others arrive! To set up, make sure you have one big table with chairs around it for everyone. If you have desks, see if you can push them together to get a similar set-up. Distribute stacks of Post-its/eco-Post-its + a pen or pencil around the table for each participant. On a whiteboard or perhaps a sheet of paper on the wall. Whether your city has a major traffic problem or a flexible concept of time, sometimes there can be a sizable chunk of time between the arrival of participants. Sometimes there are just one or two people exactly on time and a potentially long waiting period for the others. Don’t let it be awkward! Personally welcome each person who comes in. Ask them questions about themselves, invite them to sit down. Have a little activity or exercise for early arrivals like watching our YouTube playlist (link) or help to cut vegetables in sticks for the buffet. Take photos during the different phases of the workshop. During the convergence phase go from one group to another to make sure all participants are confortable participating, are not lost in endless conversation, and are filling up the output template you are expecting. Remind the small groups that one person will have to present the template for 5 minutes in front of the audience. During the presentation the audience has to remain silent. Then they have 5 minutes to emphasize what they think is relevant as well as ideas to improve, and the team write down the remarks. Thanks everyone before they leave, and gather the email of participants (if you didn’t know them before). You can also share photos, solutions, etc. in the hotspot group / event, and invite participants to do so. How is it going (to do / on track / done)?